"The absence of good ALM of a bank may lead to different crisis to jeopardize the image and soundness of the bank. "- is it? Asset Liability Management (AML) is the most important aspect to maintain the bank’s image and soundness. It manages the Balance Sheet Risk, especially for managing of liquidity risk and interest rate risk. A bank would have managed a major portion of its risks by having in place a proper ALM policy attending to its interest rate risk and liquidity risk. These two risks when managed properly lead to enhanced profitability and adequate liquidity. It should be used strategically for deciding the pricing and structure of assets and liabilities in such a way that profitability, liquidity and credit exposure is maintained. Hence one cannot neglect credit risk in the ALM process. So, it is essential to form “Asset Liability Management Committee (ALCO)”with the senior management to control the crises to jeopardize the bank’s image and soundness. Asset-Liability Management Committee (ALCO) is a risk-management committee in a financial institution that generally comprises the senior-management levels of the institution. ALCO are to look after the financial market activities, manage liquidity and interest rate risk, understand the market position and competition etc. Do you think each commercial bank should form Asset-Liability Management Committee (ALCO)? Asset-Liability Management Committee (ALCO) is the core unit of a financial institution. 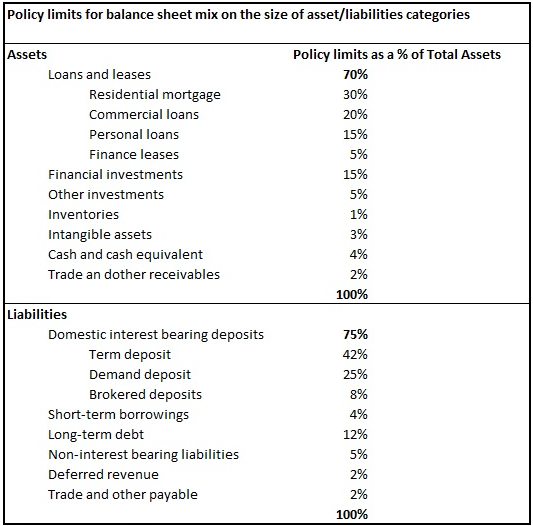 So it is the basic need to form an ALCO to balancing the Asset-Liability Management. The ALCO will set a standard limits on borrowing in the short-term markets and lending long-term instruments that controls over the financial risks and external events that may affect the bank's asset-liabilities position. It manages the risks to acceptable level by monitoring and sets the competitive prices between assets and liabilities to maintain the liquidity position of the company. Without an ALCO, a commercial bank may lose all positive financial opportunities and the bank must be faced by different types risk as like as financial crisis. So that it shout to be formed a ALCO for each commercial bank to manage the vulnerable financial position. Roles and responsibilities of Asset-Liability Management Committee (ALCO) of a Bank. 6. Deal with the dealer’s authorized limit. Credit Risk Grading (CRG) is a collective definition based on the pre-specified scale and reflects the underlying credit-risk for a given exposure. CRG deploys a number/ symbol as a primary summary indicator of risks associated with a credit exposure. Credit Risk Grading is the basic module for developing a Credit Risk Management system. What is the uses / purpose/ importance of CRG? The Credit Risk Grading matrix allows application of uniform standards to credits to ensure a common standardized approach to assess the quality of an individual obligor and the credit portfolio as a whole. It measure credit risk and differentiate individual credits and groups of credits by the risk they pose. This allows bank management and examiners to monitor changes and trends in risk levels. As evident, the CRG outputs would be relevant for credit selection, wherein either a borrower or a particular exposure/facility is rated. The other decisions would be related to pricing (credit spread) and specific features of the credit facility. Risk grading would also be relevant for surveillance and monitoring, internal MIS and assessing the aggregate risk profile. The expected minimum CRG requirements for extending credit with example. ·Facilities are fully secured by cash deposits. ·Government bonds or a counter guarantee from a top tier international bank. ·All security documentation should be in place. · The repayment capacity of the borrower is strong. ·The borrower should have excellent liquidity and low leverage. ·The company should demonstrate consistently strong earnings and cash flow. ·Score of 95 or greater based on the Risk Grade Scorecard. ·Adequate financial condition though may not be able to sustain any major or continued setbacks. ·Grade 4 assets warrant greater attention due to conditions affecting the borrower, the industry or the economic environment. ·These borrowers have an above average risk due to strained liquidity, higher than normal leverage, thin cash flow and/or inconsistent earnings. ·Grade 5 assets have potential weaknesses that deserve management’s close attention. ·Not yet considered non-performing as the correction of the deficiencies may result in an improved condition, and interest can still be taken into profits. ·Full repayment of principal and interest is unlikely and the possibility of loss is extremely high. ·However, due to specifically identifiable pending factors, such as litigation, liquidation procedures or capital injection, the asset is not yet classified as Loss. ·The adequacy of provisions must be reviewed at least quarterly on all non-performing loans, and the bank should pursue legal options to enforce security to obtain repayment or negotiate an appropriate loan rescheduling. ·In all cases, the requirements of Bangladesh Bank in CIB reporting, loan rescheduling and provisioning must be followed. ·An Aggregate Score of 35-44 based on the Risk Grade Scorecard. ·Assets graded 8 are long outstanding with no progress in obtaining repayment (in excess of 180 days past due) or in the late stages of wind up/liquidation. ·The prospect of recovery is poor and legal options have been pursued. ·The proceeds expected from the liquidation or realization of security may be awaited. The continuance of the loan as a bankable asset is not warranted. ·An Aggregate Score of 35 or less based on the Risk Grade Scorecard. Different aspects or components of Credit Risk Grading (CRG) with grading points. - Credit facilities, which are fully secured i.e. fully cash covered. - Credit facilities fully covered by government guarantee. - Credit facilities fully covered by the guarantee of a top tier international Bank. - Strong repayment capacity of the borrower. - The borrower has excellent liquidity and low leverage. - The company demonstrates consistently strong earnings and cash flow. - Borrower has well established, strong market share. - Very good management skill & expertise. - All security documentation should be in place. - Credit facilities fully covered by the guarantee of a top tier local Bank. - Aggregate Score of 85 or greater based on the Risk Grade Score Sheet. - These borrowers are not as strong as GOOD Grade borrowers, but still demonstrate consistent earnings. - Borrowers have adequate liquidity, cash flow and earnings. - Credit in this grade would normally be secured by acceptable collateral (1st charge over inventory / receivables / equipment / property). - Acceptable parent/sister company guarantee. - Aggregate Score of 75-84 based on the Risk Grade Score Sheet. - This grade warrants greater attention due to conditions affecting the borrower, the industry or the economic environment. - These borrowers have an above average risk due to strained liquidity, higher than normal leverage, thin cash flow and/or inconsistent earnings. - Weaker business credit & early warning signals of emerging business credit detected. - The borrower incurs a loss. - Loan repayments routinely fall past due. - Account conduct is poor, or other untoward factors are present. - Aggregate Score of 65-74 based on the Risk Grade Score Sheet. - This grade has potential weaknesses that deserve management’s close attention. If left uncorrected, these weaknesses may result in a deterioration of the repayment prospects of the borrower. - Severe management problems exist. - An Aggregate Score of 55-64 based on the Risk Grade Score Sheet. - Financial condition is weak and capacity or inclination to repay is in doubt. - These weaknesses jeopardize the full settlement of loans. - Bangladesh Bank criteria for sub-standard credit shall apply. - An Aggregate Score of 45-54 based on the Risk Grade Score Sheet. - Full repayment of principal and interest is unlikely and the possibility of loss is extremely high. - However, due to specifically identifiable pending factors, such as litigation, liquidation procedures or capital injection, the asset is not yet classified as Bad & Loss. - Bangladesh Bank criteria for doubtful credit shall apply. - An Aggregate Score of 35-44 based on the Risk Grade Score Sheet. - Credit of this grade has long outstanding with no progress in obtaining repayment or on the verge of wind up/liquidation. - Prospect of recovery is poor and legal options have been pursued. - Proceeds expected from the liquidation or realization of security may be awaited. The continuance of the loan as a bankable asset is not warranted, & the anticipated loss should have been provided for. - This classification reflects that it is not practical or desirable to defer writing off this basically valueless asset even though partial recovery may be affected in the future. Bangladesh Bank guidelines for timely write off of bad loans must be adhered to. Legal procedures/suit initiated. - Bangladesh Bank criteria for bad & loss credit shall apply. - An Aggregate Score of less than 35 based on the Risk Grade Score Sheet. Why core risk management is getting so much highlighted for proper financing of a bank? management guidelines imposed by Bangladesh bank and banks is getting so much highlighted for financing as well as all operation of the bank. What is provisioning? Discuss the basis of determining the status of classified loans and advances. Provisioning: The Provisioning is a non-cash expense at present for banks to account for future losses on loan defaults. Banks assume that a certain percentage of loans will default or become slow-paying. Banks enter a percentage as an expense when calculating their pre-tax incomes. This guarantees a bank's solvency and capitalization if and when the defaults occur. The provision allocated each year increases with the riskiness of the loans a given bank makes. It is due to the increase of classified loans of the bank, that they are now facing liquidity problems and the borrower inter-bank call money at very high rate. Justify the viewpoint. on such assets. This constitutes huge cost, as it makes a liquidity crisis for the banks. On other hand, when banks will go into liquidity crisis, they try to borrow from inter-bank call money at a high interest rate. The inter-bank call money market is an overnight market in meeting bank’s immediate liquidity needs and reserve deficiencies. Hence, an important task of the call money market is to facilitate liquidity management in the inter-bank market. The orderly and stable functioning of the inter-bank call money market is important to minimize liquidity risk in the banking system as a whole. So that the banks will penetrate to call money at high interest rate to maintain their adequate liquidity due to loan classification and keeps provision in this same. Distinguish between loan interest remission and loan write off. or, Between these two which one is beneficial for that Bank? Write off of bad debt of a bank that is declared non-collectible (such as a loan on a defunct business or a credit card due that is now in default), removing it from their balance sheets.In course of conducting credit operations by banks the quality of a portion of their loan portfolio, in many cases, deteriorates and uncertainty arises in realizing such loans and advances. These loans are adversely classified as per existing rules and necessary provision has to be made against such loans. Writing off bad loans having adequate provision is an internationally accepted normal phenomenon in banking business. Owing to the reluctance of banks in Bangladesh in resorting to this system their balance sheets are becoming unnecessarily and artificially inflated. In order to avoid possible legal complications in retaining the claims of the banks over the loans written off section 28 ka has been incorporated in 2001 in the Bank Company Act, 1991. The preconditions those required to be fulfilled by a borrower for availing write off consideration. 1. Banks may, at any time, write off loans classified as bad/loss. Those loans which have been classified as bad/loss for the last 5 years and for which 100% provisions have been kept should be written off without delay. 2. Banks may write off loans by debit to their current year's income account where 100% provision kept is not found adequate for writing off such loans. 3. All out efforts should be continued for realizing written off loans. Banks allowed to write-off classified loans below dollar 650 without filing any case. 4. A separate "Debt Collection Unit" should be set up in the bank for recovery of written off loans. 5. In order to accelerate the settlement of law suits filed against the written off loans or to realize the receivable written off loans any agency outside the bank can be engaged. 6. A separate ledger must be maintained for written off loans and in the Annual Report/Balance Sheet of banks there must be a separate "notes to the accounts" containing amount of cumulative and current year's loan written off. 7. In-spite of writing off the loans the concerned borrower shall be identified as defaulter as usual. Like other loans and advances, the writing off loans and advances shall be reported to the CIB of Central Bank. 8. Prior approval of Bangladesh Bank shall have to obtain in case of writing off loans sanctioned to the director or ex-director of the bank or loans sanctioned during the tenure of his directorship in the bank to the enterprise in which the concerned director has interest. [Central Bank has relaxed the guidelines for writing off small bad loans as it considered the litigation cost is sometimes higher than the amount of a loan. It allowed the scheduled banks to write-off classified loans below dollar. 650 without filing any case. The banks will, however, have to comply with other guidelines while writing off the loans, said a circular issued on Thursday. Earlier, the banks had to write off any bad loan through filing case and keeping 100% provision. The banks go for writing off a loan when it considers there is no hope to get the money back. Distinguish between Money Market & Capital Market. Market where transactions of money & financial assets are accomplished for short time. Market where transactions of money and financial assets are occurred for a long period. Call money, collateral loans, acceptances, bill of exchange. Due to short-term period, the risk is small. Risk is more due to long-term period. Commercial banks are closely regulated. The institutions are not much regulated. Can increased call money rate influence the capital market? is determined by the participants and it depends according to present and future liquidity condition in the market. For instance, the inter-bank call money borrowing rate was reached peaks at 50% in January 2004, and after that 65.67% in February 2005. So that there is no doubt that the call money rate influences the capital market. Fund flow refers to movement of funds in working capital in the normal course of business transactions. The changes in working capital may be in the form of inflow of working capital or outflow of working capital. If the component of working capital results in increase of the fund, it is known as inflow of fund. Similarly, if the components of working capital effects in decreasing the financial position it is treated as outflow of fund. 1) It highlights the different sources and uses of funds between the two accounting period. 2) It brings into light about financial strength and weakness. 3) It acts as an effective tool to measure the causes of changes in working capital. 4) It helps the management to take corrective actions while deviations between two balance sheets figures. 5) It also presents detailed information about profitability, operational efficiency, and so on. 6) It serves as a guide to the management to formulate its dividend policy, retention policy and investment policy etc. 7) It helps to evaluate the financial consequences of business transactions involved in operational finance and investment. 8) It gives the detailed explanation about movement of funds from different sources and uses of funds. Distinguish between Cash Flow and Fund Flow statement. Useful in short term analysis and cash planning. Useful in long-term analysis of financial planning. It prepared on cash basis. It prepared on accrual basis. It ascertains the changes in balance of cash in hand and bank. It ascertains the changes in financial position between two accounting periods. Analyses the reasons for changes in balance of cash in hand and bank. 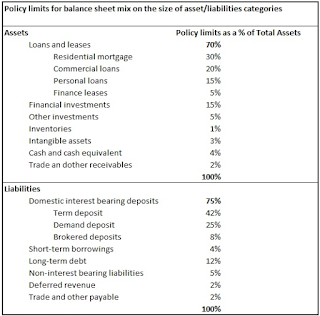 Analyses the reasons for change in financial position between two balance sheets. It shows the inflows and outflows of cash. It reveals the sources and application of funds. creative resume sample is always difficult coming up with a resume that will sound very impressive before your target audience. Here the complete guideline of the assets liability management for the students. Especially for the finance students you can learn at http://best-essay-writing-service.reviews/myessaywriter-net-review/ website the basics about assets liability cash flow statements risk capital accounts and so on. So keep sharing and appreciate such informative articles to keep the people updated. I think you have great knowledge about this topic.